Microsoft Dynamics is a feature-rich financial software system that is very powerful in the healthcare industry and works great with many of the clinical solutions that are already out there. 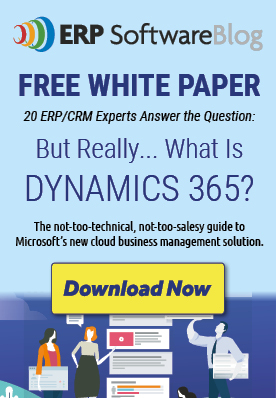 Today, I'm going to give you six reasons why you should consider Microsoft Dynamics. Microsoft Dynamics provides a strong integration platform. It integrates seamlessly, reliably and can be completely automated with things like clinical payroll or virtually anything else. If your organization is managing the complexity around a lot of locations, offices, facilities, or groups thereof you know that can add many challenges to your financial system. Dynamics offers some great features. Every healthcare organization needs good controls and visibility to purchase commitments, but they don't want the overhead of having to manage on-hand inventory or thousands of different individual inventory items. This is a common one. You know your data is in there, but you want to get easy, flexible, reliable reporting, so you can slice and dice your data the way you want to see it - by care provider, by service, or by location. Many solutions today are either only available in the cloud or only available on premise. You should choose a solution that gives you the power to choose. We all know healthcare is drowning in regulatory requirements. We've worked with organizations to help manage that complexity, be it cost allocations, payroll allocations, federal and state regulatory reporting or more. We've created a separate video and blog post for each reason, so stay tuned for the next post when I discuss Reason #1: Strong Integration Platform. TrinSoft exists to help companies use technology to be more efficient and profitable. I'm willing to answer any questions you may have, and talk through options and best practices. Download the "Top 6 Reasons to Use Microsoft Dynamics for Healthcare" whitepaper now.